And just an FYI, the one you linked to on eBay is not only the wrong length but also the wrong diameter and thread pitch. Our tow hook is a weird M22x3.0 with a long throw. Most other manufacturers are M15. Just something to be aware of. Got it, thanks. One day I'll find the right tow hook and the right hood emblem. Sorry for the hijack.. Back to original topic, has anyone painted their CF hood to match car and how did it come out? I know Mode Carbon has posted some pics before as well. 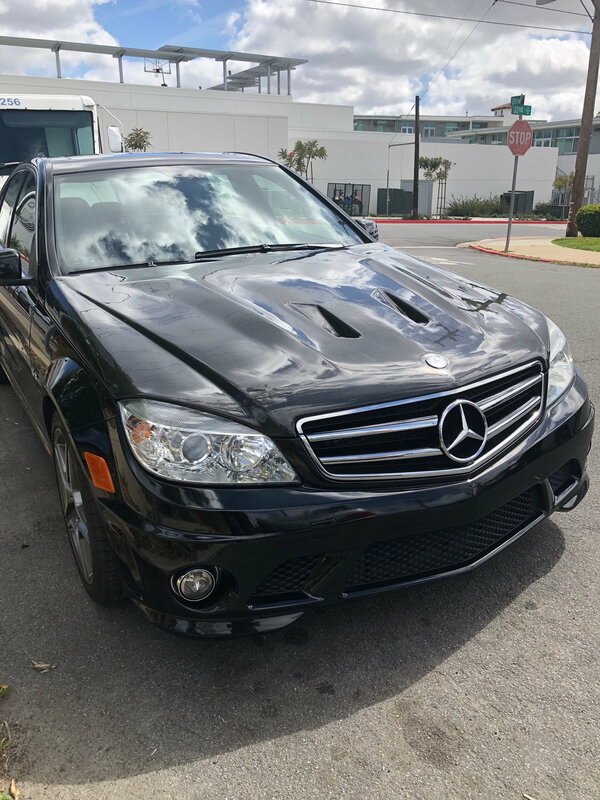 Hey guys, I'm getting ready to pull the trigger on a CF hood for by 2009 C63. I really like Dad's with the vents. Thinking of painting it black but leaving the vents in CF. I also like Seibon's hoods. Does anyone have concerns about Dad's ? Amazon has them for $1895, seems like a good deal. Thoughts? Thanks Guys. Back from the dead... I time for Halloween. 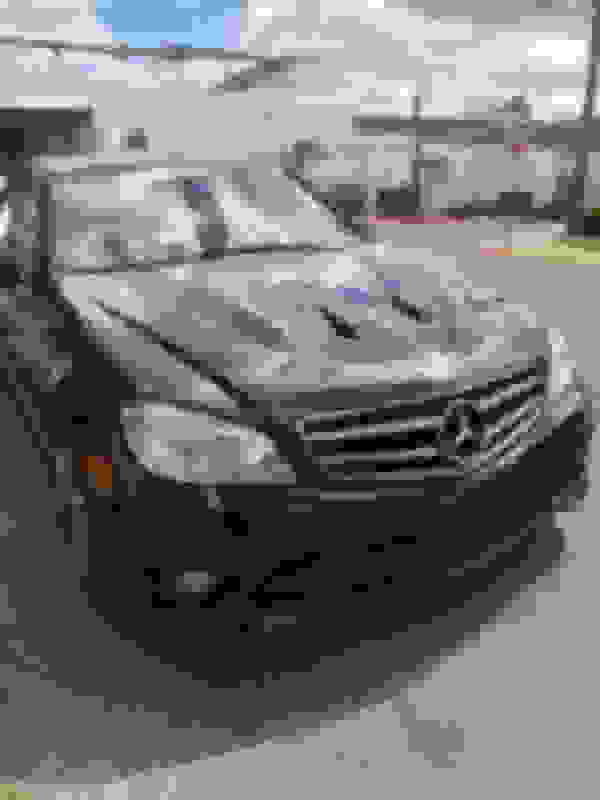 I'm actually a w212 guy. But I was wanting to know how many of you guys are using Hood pins with your carbon fiber hoods? Did you buy this off Amazon after all? Strange as most info suggests these hoods are long discontinued. I was ready to pull the trigger on this hood a while back also (I eventually ended up with the carbon creations vented hood). The reason I didn't go with with the MHP (Dads) is because I tried contacting MHP through Amazon and Facebook and I never got a response from anyone. I didn't want to risk rolling the dice on a $1,900 purchase even though I knew Amazon would probably refund me if anything went sour. Last edited by BMWho; 10-31-2018 at 11:49 AM. MHP. Oh man. yeah, good call. They are sketch AF and there are many stories of people losing their money with them. Any pics of your CF hood? OK that's what I assumed as well. Not sure what all is involved in becoming an Amazon vendor but when I saw the retailer, that they show only 1 available, and that shipping was $4.95, I figured it was too good to be true. Link to the carbon creations version? Here are a couple pics. 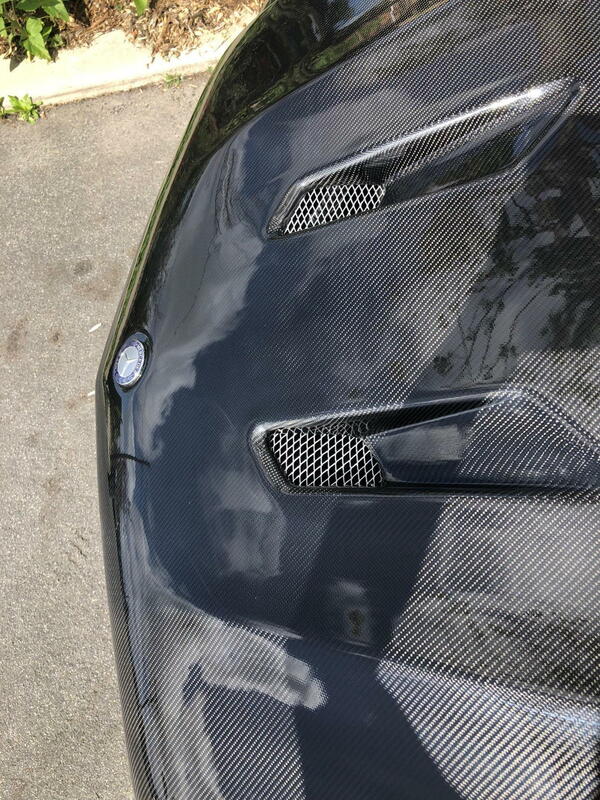 I will say that I ran into a lot of quality issues with the hood... Long story short I sorted it out with Car ID, Carbon Creations also owned up to it so I give them credit for their customer service. Personally I did not. The installers were able to install my hood using the OEM hardware (minus the hold open springs) and the CF hood I have is CF with a metal panel under so it has decent anchorage. Thanks for the pics. that is a nice looking hood. any issues with water getting in the engine bay or do you have the little baffles that a stock 507 hood would have? No baffles as of now. The only time water is even a thought is when I wash it, but then I just stuff a couple of towels in the vents and hand wash the hood It's garaged 99% of the time, its not my daily and it hardly rains here so I can't say I've had any issues with water. Who knows maybe one day I'll add some baffles. So what were the issues with Carbon Creations? Did you receive a flawed hood which they swapped or? Would you recommend them otherwise? Since we are PFL I undersrtand we had heavier hoods than FL. Was the weight savings pretty obvious or did you go mainly for aesthetics? The CF mesh in one small area was moved out of place exposing the substrate beneath. The clear coat also had pin sized bubbles on the surface in a few isolated places. A handful of minor flaws like that which added up to enough to make me unhappy with the hood. I'm a little surprised the hood made it through their QC. For me it was all of the above. I get some weight savings (it all adds up right?) and it looks killer. Plus I have future plans of a stage 3 SC so helping to reduce engine bay temperatures was another bonus! Can you post some pics of the underside of the hood, with it open? My hood is the '09 all steel version and super heavy...looking for something I don't need to use hood pins with and still save a bunch of weight.